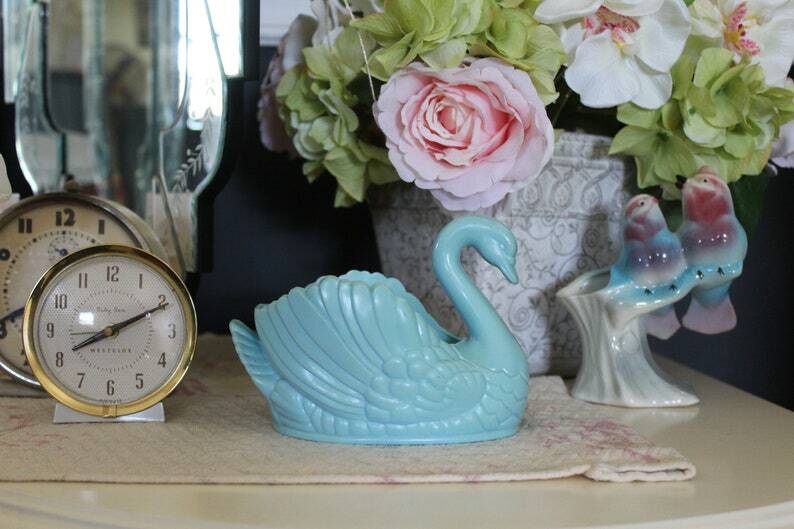 This vintage blue plastic swan was made by Regoline sometime around the 1960s. It is marked Regoline, 431. It would look pretty in your bathroom for cotton balls or soap. Keep it on your glam vanity for lipstick. It would also look sweet in a little girl's room or nursery. Use it for hairbands or barrettes. This blue swan is in excellent vintage condition. Please use your zoom for a good look.